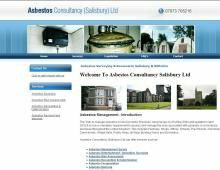 Asbestos Consultancy Salisbury Ltd, Wiltshire, are offering asbestos surveys in Wiltshire and asbestos disposal in Wiltshire for domestic, commercial and industrial properties. They also have a strong presence in Dorset, Hampshire, Somerset and Devon as a reputable asbestos removal company from Wiltshire. Asbestos Consultancy Salisbury Ltd have a team of specialists that carry out asbestos removal safely and in accordance with the latest CAR (Control of Asbestos Regulation). This asbestos removal company are fully insured and hold British Occupational Hygiene Society qualifications, they can help you fully with your asbestos management. Are you looking for an experienced asbestos surveyor in Salisbury or a specialist in asbestos disposal in Wiltshire? If you are, then contact Asbestos Consultancy Salisbury Ltd to discuss your asbestos removal needs.